Young cricketers had the chance to learn from the master when Sri Lanka legend and Sussex player Mahela Jayawardena came to teach them basic skills of the game. 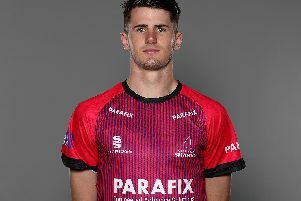 He spent two hours talking to and watching around 40 children at Ifield Community College in two sessions organised by Crawley Cricket Academy. Jayawardena said: “I am playing cricket in Sussex and I love playing with the kids because I want to help inspire them to be good cricketers. “Azam Riyard is trying to get Asian kids to play cricket and maybe become a homegrown player for Sussex one day. Crawley Cricket Academy manager Azam Riyard is old friends with the legendary batsman. He said: “I wanted the children to have this opportunity to experience time with a great. “People like Mahela and give a lasting impression. To have experience of having time with a great is fantastic for the children. It was a wonderful opportunity for the children. “Sussex County Cricket Club have been very helpful in letting their pro’s do community work. “Crawley Cricket Academy provides facility for people from U11-U17 who don’t have a lot of money to provide them an opportunity to play the game and have quality coaching with a lot of top class equipment. Click on the video to watch Jayawardena and Azam teaching the kids from Crawley Cricket Academy.